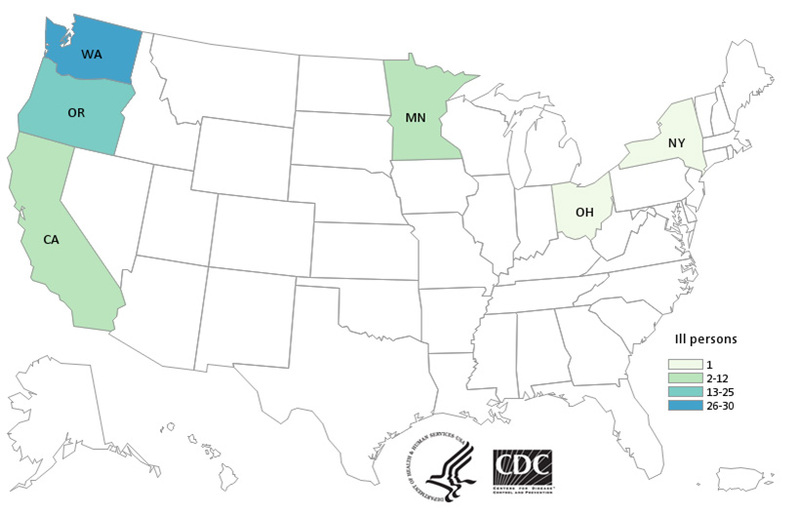 E.coli (Escherichia coli) 2015 OutbreaksO26 infections linked to Chipotle Mexican Grill case count map. N Engl J Med. 377(21):2036-2043.